Commercient SYNC for Quickbooks and Sugar SugarCRM, Inc.
Commercient SYNC for Quickbooks and Sugar is a cloud-based solution for companies who are looking to integrate pivotal Quickbooks data with critical Sugar data. SYNC integrates your QuickBooks data with Sugar to improve visibility, of both historic and real-time details of sales and other transactions within Sugar. 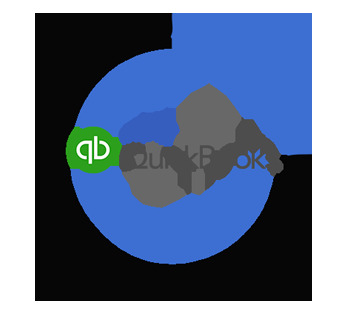 Commercient’s Quickbooks SYNC is compatible with Quickbooks Online, Quickbooks 2014 and above. Unlike a toolset, Commercient SYNC doesn’t require any coding, mapping documents or ETL. Commercient will service your integration if an issue or update ever occurs. Commercient’s SYNC applications can be completely customized to meet specified business needs. SYNC can be purchased, as unidirectional or bi-directional integrations. Get efficient with Commercient’s Quickbooks SYNC for Sugar with add-on apps like Create Opportunities and Quotes, Opportunity Invoice Tracking for Commissions, Sales Order Entry, and more. Customize your plans and get your Quickbooks data natively into Sugar as often as you want without the hassle of custom mapping or lengthy integration plans. SYNC integrates ERP data with CRM data, Sales data and Invoice data. Commercient SYNC for Quickbooks and Sugar is licensed through the Sugar Exchange and works with all Sugar commercial and community versions both on-premise and cloud based. The smart integrations are performed and operated by experts. Our simple to use integration application is designed to boost sales and growth by viewing ERP data in Sugar. SYNC is an easy to deploy app for users looking for a CRM in the cloud experience. SYNC for Sugar and Quickbooks makes it possible to start up a CPQ, set up dynamic reports, perform complex product configurations with minimum errors, and keep track of past Sales Orders down to the smallest data point. Using our team of ERP Experts we developed an efficient SYNC methodology, Commercient's SYNC integrates efficiently and quickly with the installation and application performed by your team through an online wizard. Optional components are also available including, Salesperson Account enforcement, Price Books, Custom Table, Custom Reports, Real-time integration, and Product Configurators.